As it took aim at numerous Obama-era regulations, the Trump Administration in early April declared a 60-day delay on implementation of the Fiduciary Rule. Simply put, that Labor Department regulation requires any professional dispensing financial advice for retirees to put the client's interests ahead of his or her own. The financial services industry is nearly unanimous in opposing such a rule and early drafts of the continuing resolution (CR) spending bill that Congress passed over the weekend contained language to eliminate it altogether. But according to Investment News, the version that passed Congress did not contain the Fiduciary Rule-killing language. The rule is now set to take effect in June unless Congress or the White House takes specific action to block it. According to the Investment News report, the rule-killing language had to be removed in order to avoid a government shutdown. Democrats dug in their heels and refused to vote for a CR that killed the Fiduciary Rule. In reiterating its opposition to the Fiduciary Rule back in April, the Financial Services Institute said the rule is unnecessary because its members have been working in the best interests of clients long before Dodd Frank legislation was implemented. The trade group, which represents the financial services industry, argues that the rule would result in small investors, such as individuals saving for retirement, losing access to all investment advice. Backers of the rule have worried that financial advisors who are earning commissions and fee on investments have a financial incentive to recommend them to their clients, whether they are in the client's best interest or not. "The American Bankers Association (ABA) has long advocated for changes to the fiduciary rule and a longer implementation period to allow banks of all sizes time to comply," the ABA said in a statement Tuesday. ABA is one of several trade groups asking for a meeting with Labor Secretary Alexander Acosta to discuss the rule's implementation. Meanwhile, 100 GOP members of the House have appealed to Acosta to further delay the rule's implementation. On the other side, consumer groups have championed the rule and urged the administration to allow it to take effect. Nancy LeaMond, executive vice-president of AARP, says investors need to know the advice they are receiving is objective and unbiased. 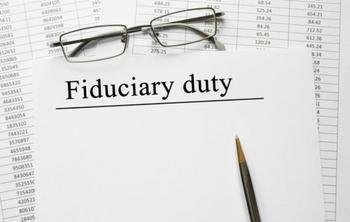 "Many advisers already meet a fiduciary standard, and many more firms, brokers and agents have invested significant time and money to comply with the new rule," LeaMond said in a statement back in February. "It is time that all Americans can count on retirement investment advice that is in their best interest, not the interest of Wall Street." LeaMond said she worries that delaying the rule will cause consumers to continue to get conflicted advice. And the more consumers have to pay in fees and commissions, she says, the less they have for retirement.